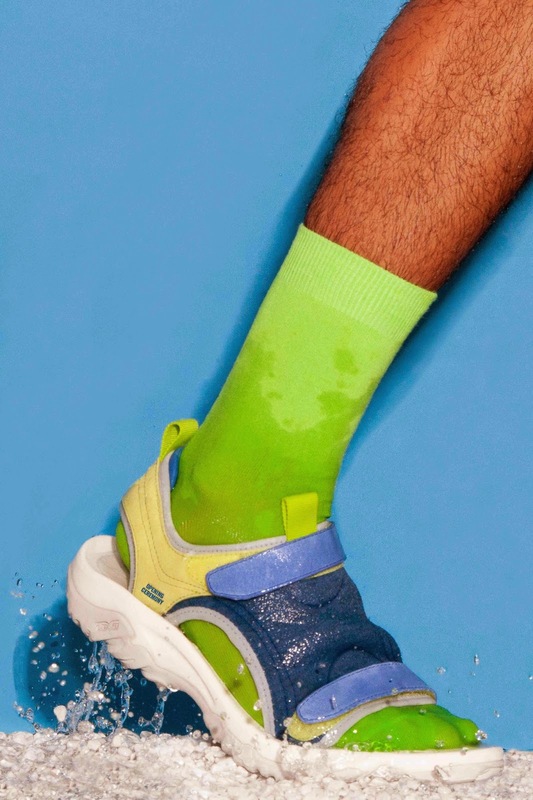 Teva is a brand of outdoor sandals that this year is celebrating its 30th Anniversary bringing back the Original models invented in 1984 when a guide added a strap to his rafting flip flops. The colours are very bright with contrasting soles and they are great for men and women. 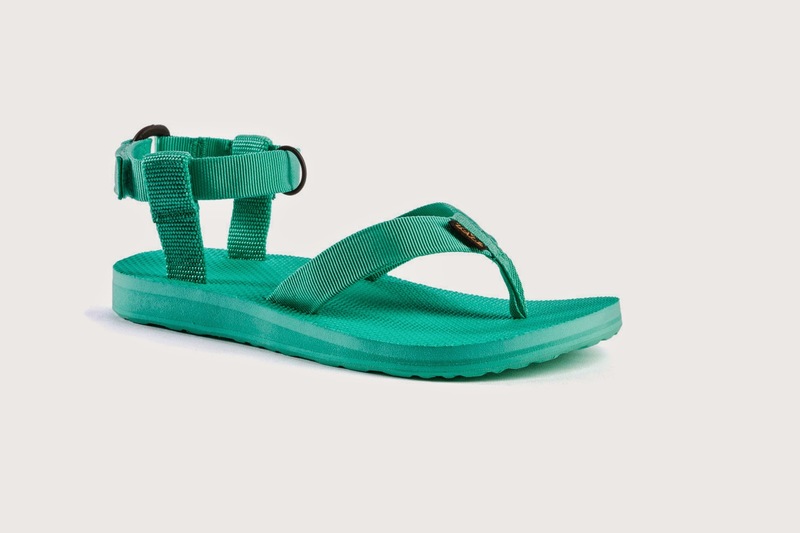 The purple Teva Original sandal has got bright turquoise colour contrast. By law you can't drive in flips flops but these, having an ankle strap make them safe, so it is possible to drive a car without being fined. 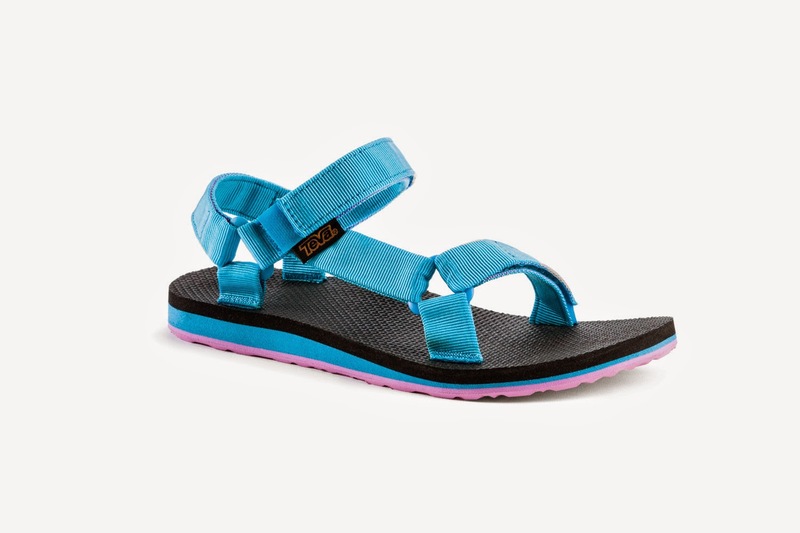 This is the Teva Original Universal sandals in bright turquoise with bright pink soles. This model has got a classic shape monk like with the ankle strap which is the characteristic of the brand. 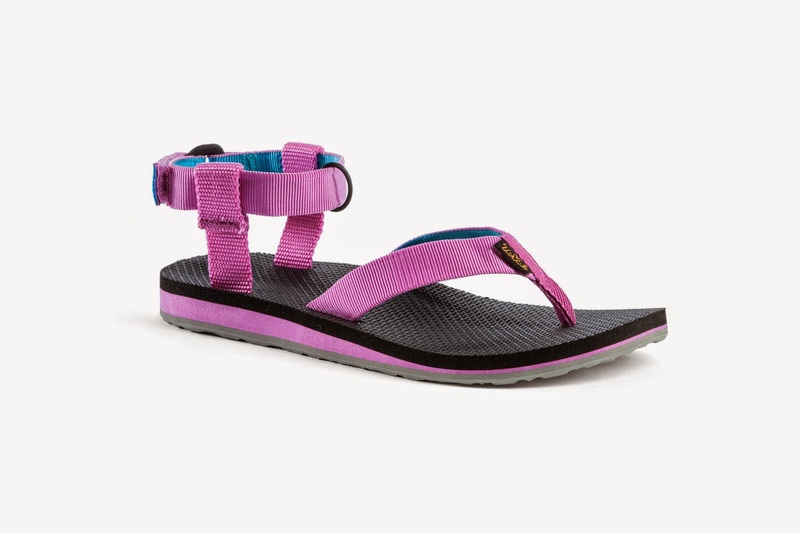 Teva sandals are great for any water sport and for me that I always look for more options to wear a specific garment or pair of shoes, these sandals are perfect when you go to a theme park where water rides are involved. No more worries of ruining your shoes, you've got the right footwear. 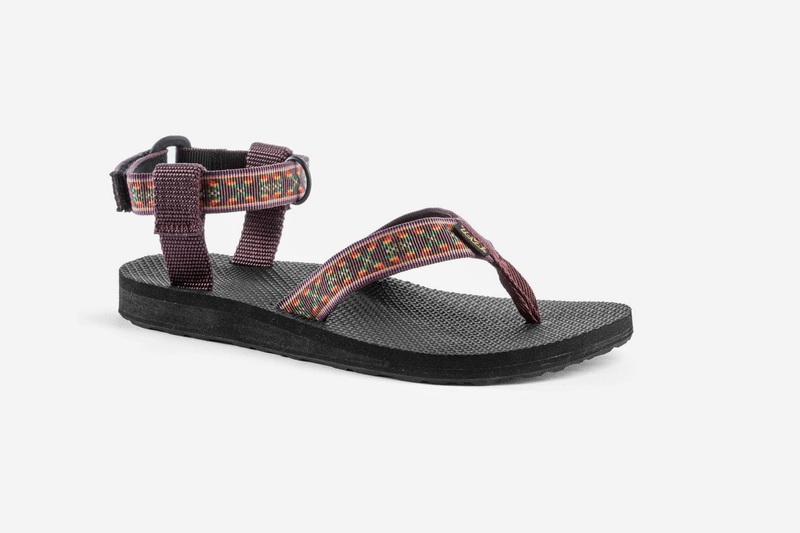 As well as bright colours, Teva sandals have been produced with a ethnic pattern which may appeal less daring men who want a practical footwear but they are not ready to embrace the bright colours trend. 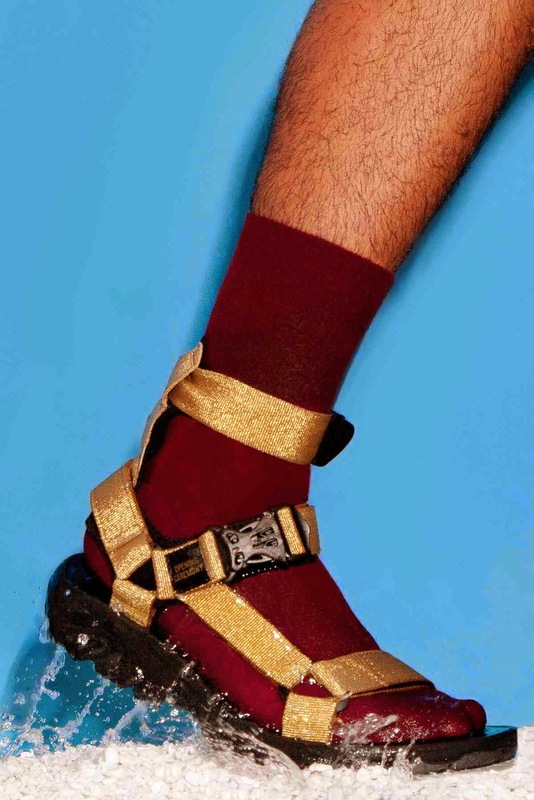 This summer Teva sandals have got a collaboration with the Opening Ceremony stores. Sandals have been designed keeping the Teva characteristics. The Teva Universal Hurricane has got metallic silver and gold nylon straps. The ankle strap can be removed. Go online at www.teva.co.uk to find a stockist for these great sandals or to buy online. They have got a great range to choose from, what you've seen here it's just the Original collection to mark their 30 years of being on the market, but the choice is huge with several models for men, women and kids.